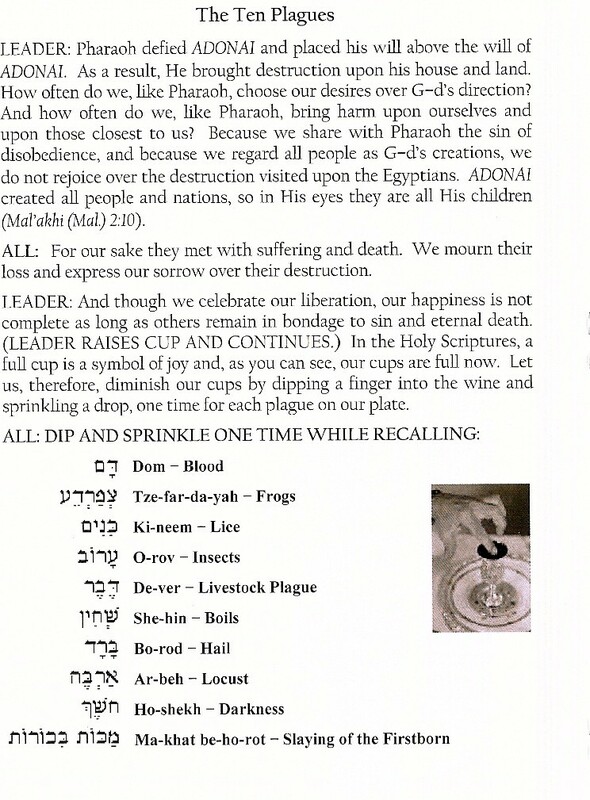 Interested in holding your own Passover? Looking for the origin of the L-rd's Supper? 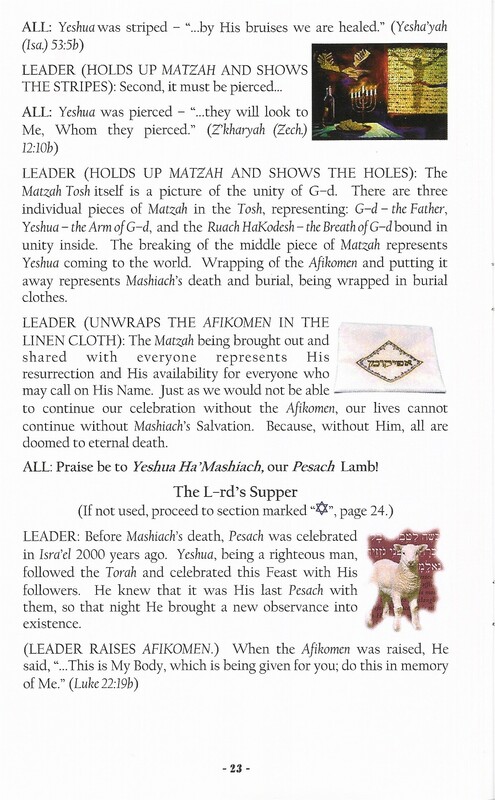 Looking for a Messianic Haggadah? 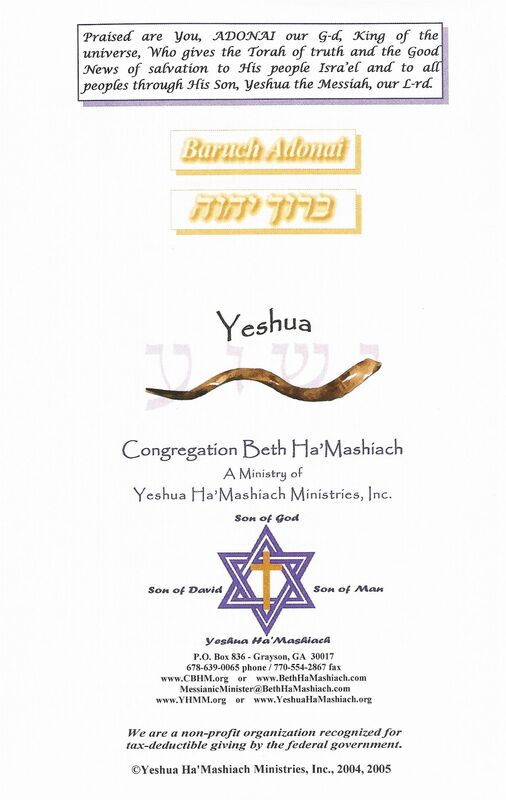 We are offering both our Congregational Haggadah, and Messianic Haggadahs customized for your organization. 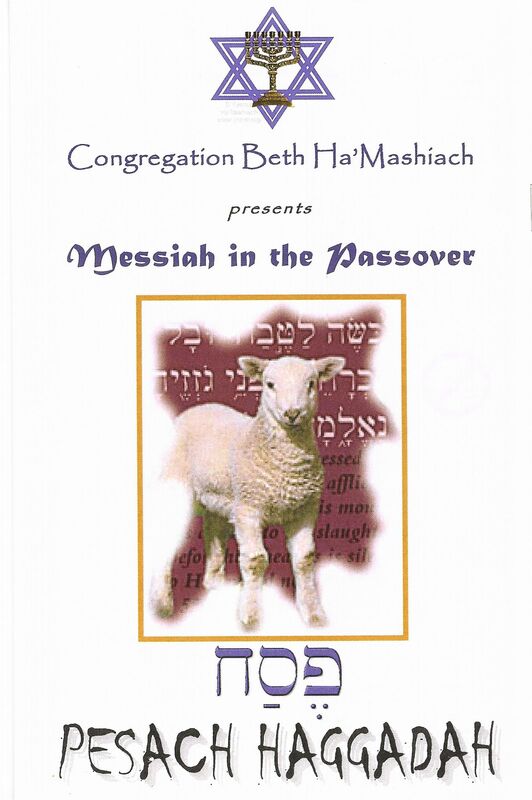 These Haggadahs are full color and fully illustrate the coming of Messiah to be the Passover lamb. 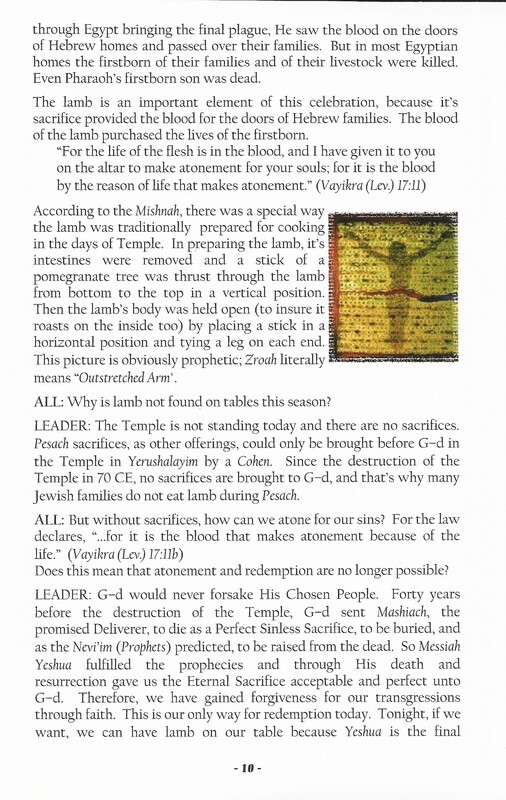 Single Messianic Haggadahs are available for a suggested donation of $12.00 which includes shipping & handling. Large orders with customization are available. Please allow 4 weeks for customization. 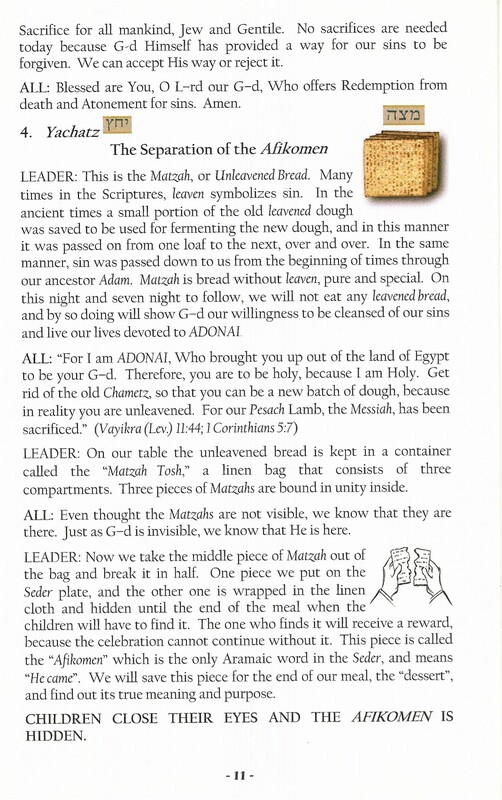 Passover (Pesach) is April 23rd 2005, please place orders allowing proper time for processing. 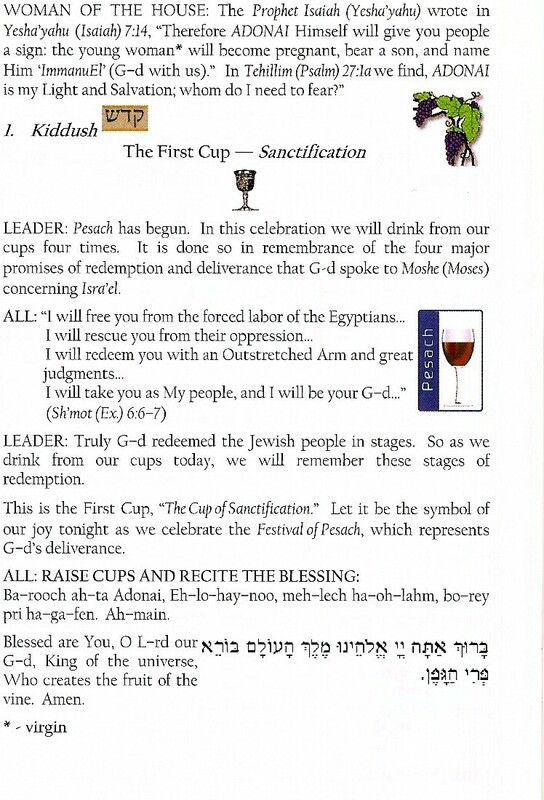 E-mail us at haggadah@yeshuahamashiach.org for information on large quantities & suggested donations and customization options. Sample pages can be provided.